For riders that mix hooked and unhooked freestyle tricks and like to kiteloop. The wide wind range offers more versatility than a traditional “C” shape, and offers smooth power delivery with predictable handling. 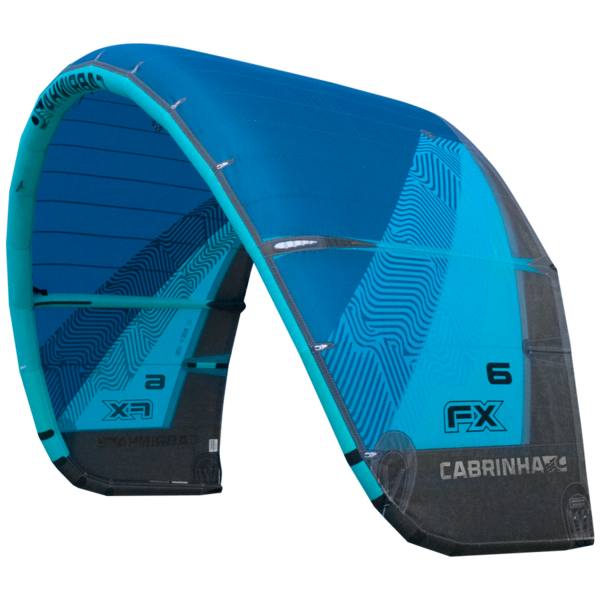 The FX is designed to bridge the gap between advanced freestyle and performance freeride kites. The FX implements an upright modified C shape design to get the best performance characteristics of a C shape with the versatility of a hybrid outline. The FX delivers a fast turn in a tight arc which makes it perfect for kite looping.... hooked or unhooked. Its lean entry and profile allows the kite to reach its zenith after a loop to give you a soft and controlled landing. 3 Strut, Modified C shape arc, Box wing tip design, Lean entry profile. Kite Addiction, the best kitesurfing store in WA! We stock Cabrinha, Gaastra (GA), and Naish boards, kites from Cabrinha, Naish and Gaastra! Boasting one of the largest ranges of second hand equipment in the state, you are sure to find what you need. Here at Kite Addiction we will trade windsurfing gear for kitesurfing gear. We carry a large range of new and second hand stock so we can customise a rig to your needs and budget. This site contains online catalogues of new and used gear and much, much more..
Come in and see Daniel and Reg for the best deals on the water. The crew from Kite Addiction.